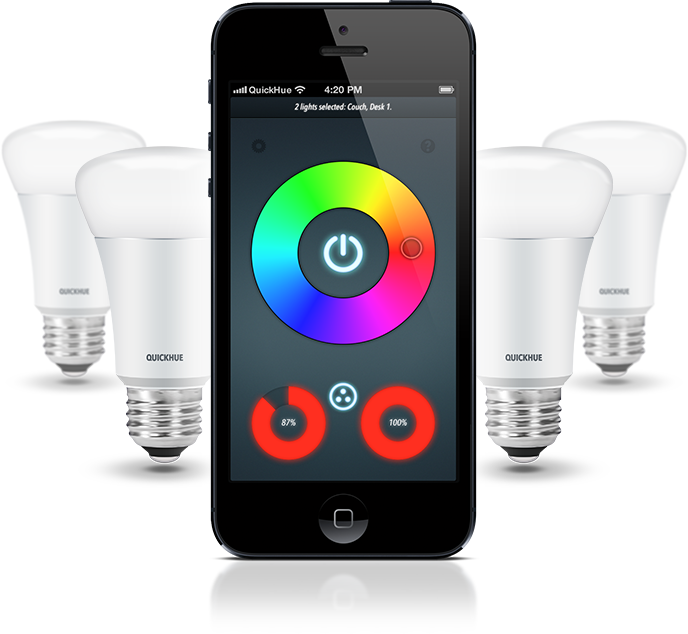 The easy to use remote for your Philips Hue lighting system. QuickHue is the easy to use remote control for your Philips Hue lighting system. The interface allows you to select the lights you want to control, and adjust the settings with a simple gesture. QuickHue focusses on simplicity. Select the color of your mood with one simple touch. By using the official Philips SDK, QuickHue ensures the best performance. The intuitive design guarantees effectiveness and simplicity. No hassle, no clutter. Just colors. QuickHue is available for iPhone & iPod using iOS 6 or higher.